Disabling a time slot removes a single time slot from being available for booking. 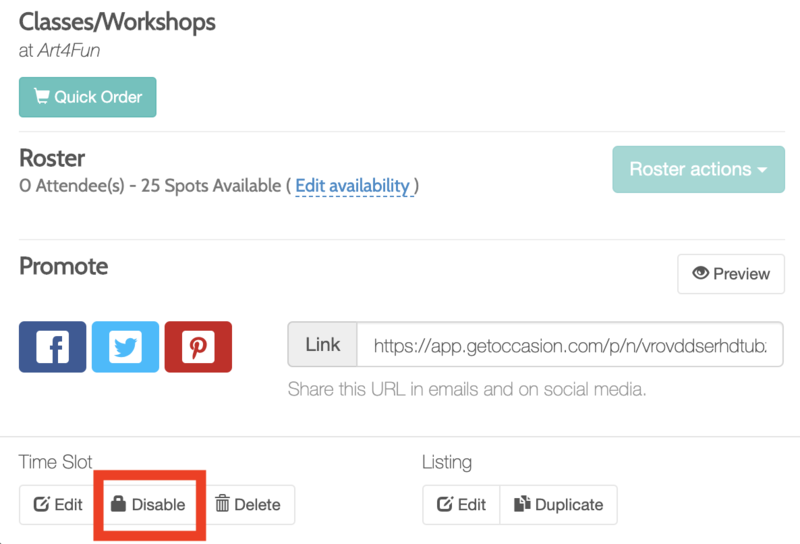 This will ensure your listings remain on your backend calendar but are removed from the public view. From the "Calendars" page, click on the time slot you'd like to remove. Click on "Disable" from the Time Slot section on the bottom left. 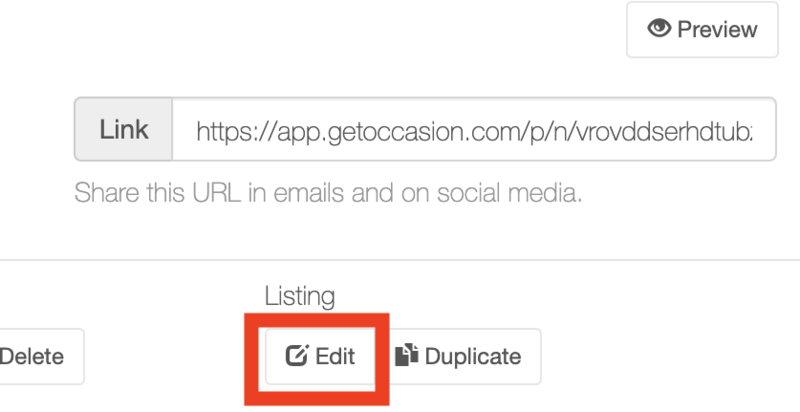 Deactivating a listing will remove it from your backend calendar and your public calendar. For recurring listings, this option will remove all occurrences. The listing however remains within your Occasion account. It is archived as Inactive and can be accessed by clicking on the "Show Inactive Listings" button from the Manage > Listings page. From the "Calendars" page, click on the event you'd like to remove. Click on "Edit" from the Listing section on the bottom right. Click the "Active" switch on the top of the page. It will change to a red "Inactive" switch indicating that the listing is now inactive. 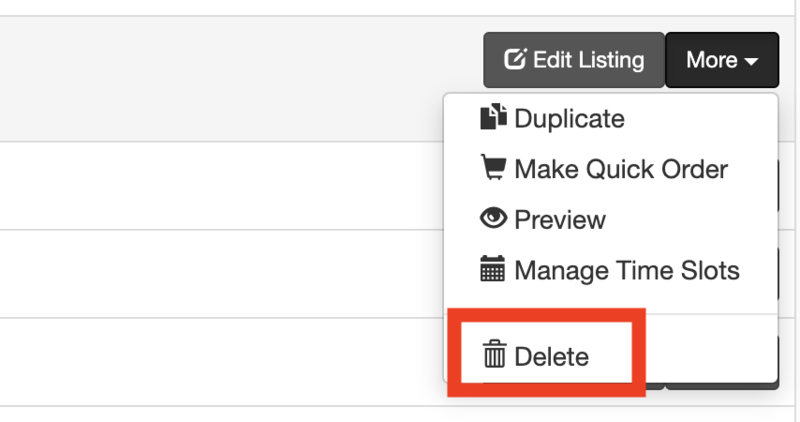 Deleting a listing removes it completely from your Occasion account. Note: Deleting a listing is permanent and irreversible. In order to be able to delete a Listing, it must not have any bookings. If the listing has existing bookings it has to remain in your system for record keeping. In that case you can make it Inactive. Go to Manage > Listings. Find the listing you wish to delete, and click "More". Click on the "Delete" button and confirm the deletion.